Sift flour, baking powder & cayenne into a bowl. 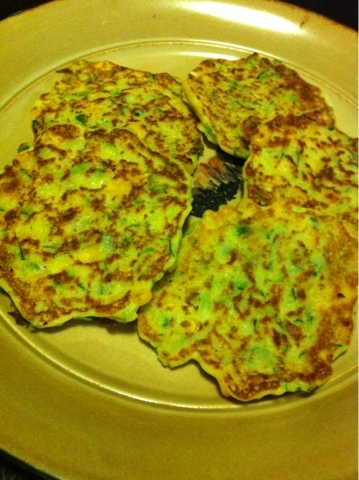 Whisk eggs with milk/olive oil then add to flour mixture - stir to form a thick pancake-like batter. 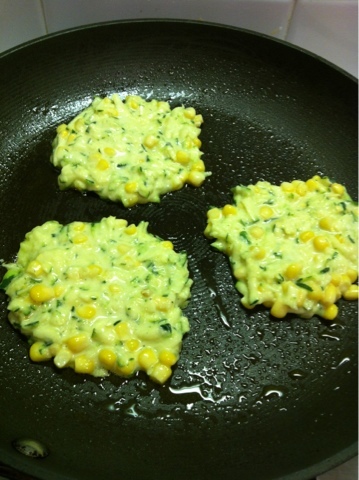 Add corn, zucchini, onions and season with salt & pepper. Stir until just combined (I used a fork, it helps). Pour a thin layer of oil into a large non-stick frying pan and place on medium to high heat. 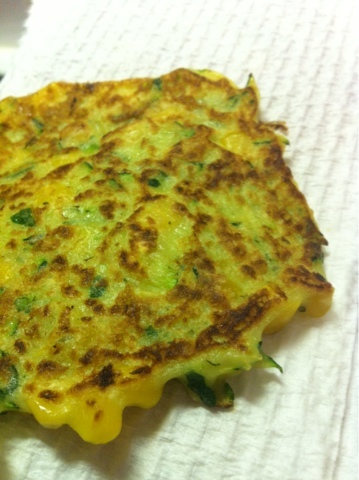 Add large spoonfuls of mixture to pan, flattening slightly to form shapely, even fritters. Cook for 2-3 minutes per side or until golden brown and cooked through. Drain on a paper towel on a ceramic plate, which you can rest on top of a bowl of boiling water to keep them warm whilst you continue cooking (also an excellent crêpe trick). 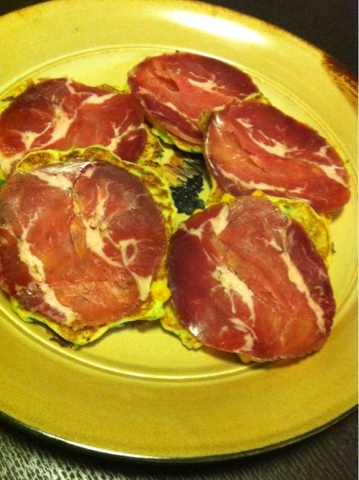 I was eating them for dinner, so I decided to bulk it up with some meat - Coppa was on special for $4.99 for 100g last time I was out shopping so I have a stockpile in the back of the fridge. A perfect dinner and happy to avoid a supermarket dash in my jarmies in the dark for another night!